Summer. A time to relax, unwind, and reconnect with friends and family. It sounds great and we all look forward to it. But, what more can you get out of your summer? What more can your kids get out of their summer? 1. Camp offers a safe space for girls to find or reinvent themselves. For 7 weeks girls live, play and eat together in an atmosphere of total positivity and friendship. 10 months at home with the same kids at school can lead to being labeled or stuck, and even a lack of growth creatively. Camp offers girls the room they need to stretch and grow! 2. Camp allows our girls to develop skills they might not know they have in a place surrounded with no judgment. All of our programs foster a nurturing environment where the girls will grow and learn. Try something new that you might be interested in at home and see if you like it. Vega and its team offers the encouragement needed for girls to take that leap. 3. Friendships developed at Camp Vega last a lifetime. There is a bond created at Vega that you can’t find anywhere else. Friendship built on mutual adventures had together, trust, honesty and laughter. Talk with any of our alumni, and you will see that camp friendships are the most meaningful friendships they have made in their lifetime. 4. Camp gets the girls physical again. There is no time to sit around and be on a social media site as we are a screen free environment! With no way to connect to the outside world, girls really enjoy talking with their friends, engaging with one another and being active in an activity they love. Our beautiful surroundings make it easy for the girls to want to be outside and enjoy nature. Echo Lake offers the perfect place to be in the summer. 5. Independence. Watching the campers blossom in 7 weeks is amazing! Some girls come to camp ready to hit the ground running and others find their way over the course of the summer. Through it all, we see young woman finding their voices, making decisions for themselves and doing things that didn’t know they could. 6. Camp is a place to fail, grow and succeed without judgement or consequences. 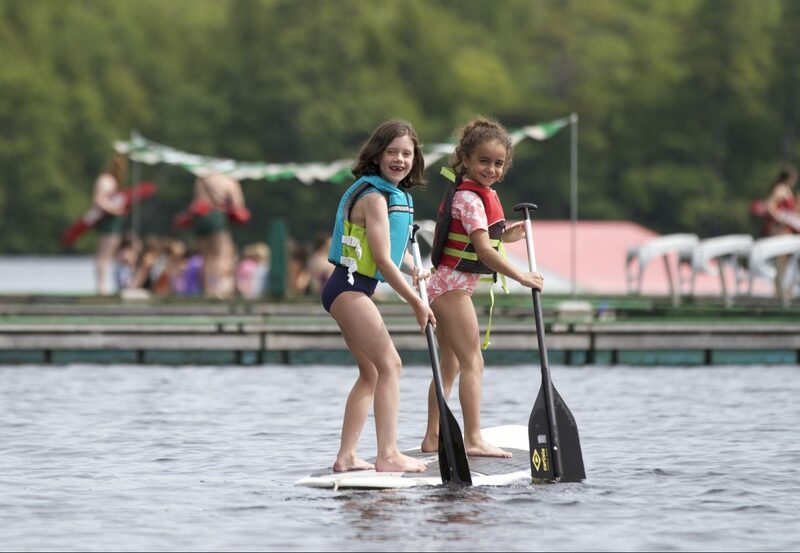 By allowing the campers to take risks, we help them build their self esteem. Being surrounded by people the girls know and trust allows them to not fear failure, but embrace a challenge and conquer it. 7. A greater appreciation for home and family. Yes, 7 weeks seems like a long time, yet it flies by. The few that are “homemissing” in the first few days of camp, are “campmissing” when they leave. That being said, being away from home allows them a greater appreciation for what they do have when they leave camp. 8. Leadership skills. Camp is the ideal place for girls to become leaders. With so many activities, each girl will develop a feel for where she falls in and how she wants to lead. Our summer long Olympics is a highlight of leadership skills throughout all ages groups all summer long. 9. Courage. It takes courage to go away to summer camp, for most girls it’s their first time away from siblings and parents. That is a big step. Once the girls get to camp, we see them demonstrating courage on a daily basis, whether it be trying new activities, making new friends, or doing something on their own. 10. Happiness. What we see during our summer with the girls is true joy and happiness every day on camp. Whether it be songs that the girls sing in the dining hall, games played in their bunks, or dances made up for evening activities, the girls truly are in their happy place while at Camp Vega. The smiles are evident and the joy is contagious. There really is no place like Camp Vega and we are proud to be a part of wonderful summer memories for so many girls year after year!